2LP version, featuring 13 tracks from the CD version. 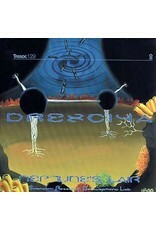 Detroit's Drexciya, with their close ties to Underground Resistance, emerged in 1991. 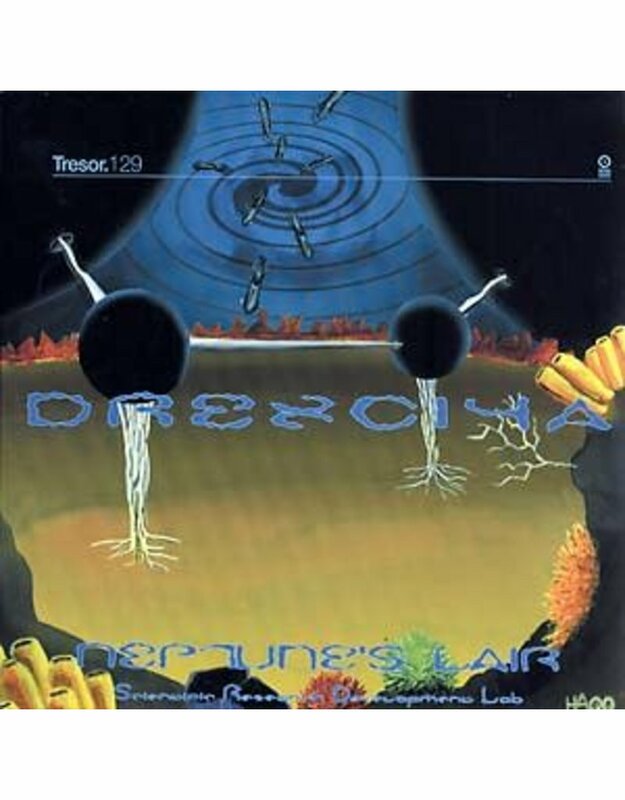 With an encoded agenda and socio-political mission aimed at the world, a new page of Drexciya's grand history was written entitled Neptune's Lair, featuring 21 exclusive tracks released in the fall of 1999. Drexciya is the sound of originality embodying all the musical styles and history that Detroit the city has seen and been part of. Drexciya is music for change that defies categorization; traditionally armed with freestyle electro, techno, funk, and jazz while covering an entire spectrum of moods ranging from the dark to shimmering beauty. While words won't do Neptune's Lair proper justice, rootsy Kraftwerkian techno ("Universal Element" and "Oxyplasmic Gyration Beam"), gives way to G-style electro ("Andreaen Sand Dunes"), while jazzy freestyle funk ("Running Out Of Space" and "Funk Release Valve") evolves alongside classic 4/4 club sound. Although the roots run deep, Neptune's Lair heralded an important new chapter in the musical connections between Detroit's finest and Tresor.